applying your heart to understanding . . .
After seeing improvement in Clients (even when their circumstances did not change), I was inspired to try the process as well–and have since filled many Journey Notebooks over the past 20 years. Wherever you are in your journey with Christ, if you want an effective tool that will promote your spiritual growth, Journey Notes Praise Journaling has been proven to be helpful. Over the years–WISDOM, COURAGE, CONFIDENCE–starts with TODAY . . . . Your Praises ~ Log three (3) things you are grateful to God for in the left side column. Your praises should be different every day and written in the first person to God rather than writing about Him. They can be about His provision for you, His character or anything else that comes to your mind. If you can’t think of three praises to log, PRAY for Him to help you. Your Prayer Concerns ~ Write them down below your praises. I generally log the things closest to what is going on in my life and keep on-going concerns on a separate piece of paper. God’s Word to You ~ I & II Peter are a good place to start because there is so much encouragement to be found. Having prayed to God for a teachable heart, begin reading expectantly as you look for spiritual treasure. (Don’t worry about how many verses to read, just until something stands out to you. When a verse or passage does stand out, write it in the section at the top of the page using your red pen. (Resist taking shortcuts like only writing out the reference rather than the verse/verses.) Taking time to write out the Scripture often can broaden your understanding as to personal application. Your Response to God ~ You can do your praises, concerns and Scripture reading in any order you like, but it works best to save Your Response to God for last. This last piece should be written as a personal response to God’s provision, so try to write to Him rather than about Him. (It’s a small but important distinction that can serve to broaden your overall Journey Notes experience.) If other Scripture comes to mind as you write and you want to include it, write that Scripture down with your red pen as well. It’s interesting and fun when you look back through your Journey Notes because you will see a conversation emerge between you and your Lord! 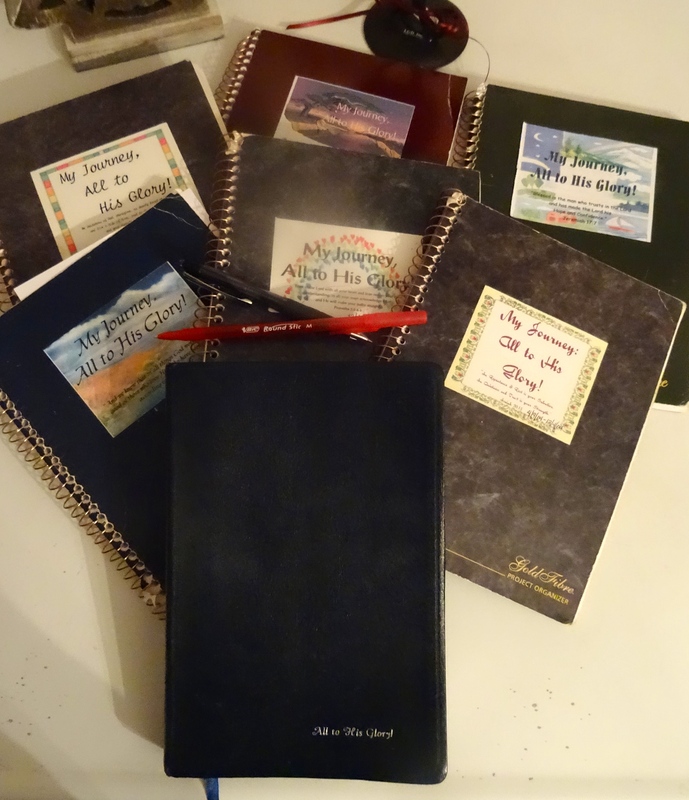 For those willing to enter into the adventure, Journey Notes Praise Journaling is a delightful means of discovering the abundant life Jesus offers to all who desire to honor Him. If you are up for the challenge, it can be a means of discovering JOY in unexpected places! So why not go for it?